Natalie Cilurzo of Russian River Brewing Company and Mary Anne McBride, CEO of the Council on Aging are our guests today on Brew Ha Ha with Steve Jaxon and Mark Carpenter. Natalie will give an update on Russian River Brewing’s Windsor construction project and she and Mary Anne McBride will describe their fire recovery relief project for the community. Mark starts with a Little White Lie beer from Russian River, a Belgian white beer, about 5% alcohol. Natalie Cilurzo begins with an update on their construction project in Windsor. They got their bottling line from Italy “…and it came with three Italians and one espresso machine to put it together.” They hope to open between September and October. There are lots of updates with artist renderings and pictures on the website with a live time lapse camera aimed at the site that takes a still picture every 10 minutes. She describes the new Windsor location, which will be a 85,000 square foot brewery with a brewpub, gift shop, production and bottling lines as well as space for the barrels for their sour barrel aged beer. “It’s going to be a wonderful destination for locals and out of town guests alike.” There will be two acres of free parking and bicycle parking too. 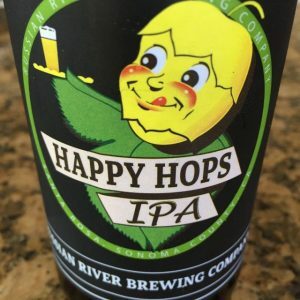 Mark asks if they will do bottles and cans, since brewers now consider cans to be better for the beer because they keep the oxygen off the beer better than bottles. Natalie Cilurzo says that they don’t use cans although they will look into that after Windsor opens. 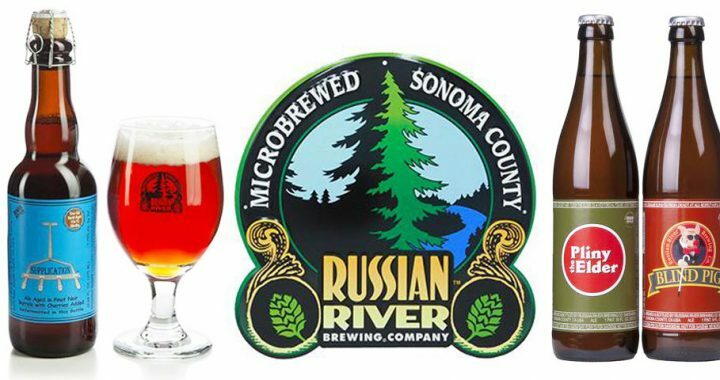 Russian River Brewing and the King’s River Foundation are partnering to raise money for the victims of the Sonoma County wildfires last October. $1,103,537 raises so far, with more coming in. Mary Anne McBride, CEO of the Council on Aging describes their collaboration. In the days after the fire they got a call from King’s Ridge about their fund raising and offered to set up a fund for seniors and the relief money they were able to distribute to seniors who had needs like lost dentures and housing assistance. Natalie Cilurzo describes the Little White Lie beer, a Belgian white beer with about 5% alcohol, nice and low. It’s a seasonal beer for Summer. It’s 65% barley with Belgian yeast and spiced with a little orange peel, coriander and cumin. Mark finds that it has, “…a wonderful yeasty aroma, almost bread-like.” It has very little hops in it, just in the boil, not dry hopped. Steve asks Mary Anne to describe the Council on Aging which has been helping seniors maintain their independence since 1966. They provide over 20 programs in the county, such as legal services and Meals on Wheels. Now they are thrilled to be moving into housing and to provide a comprehensive set of services. They reach about 8000 seniors annually and the numbers of seniors in the county is growing. The Council on Aging is a local organization, there is a national organization. They also are active in pickleball, a kind of small scale adaptation of tennis. Now Mark Carpenter is tasting a Happy Hops beer, a resurrected label from the old Grace Brothers brewery. It has about 12 different hops varieties in it. It’s about 6.5% alcohol, an IPA. Happy Hops was a brand, which was iconic. The trademark had lapsed but they still contacted the Grace family and told them of their plans.